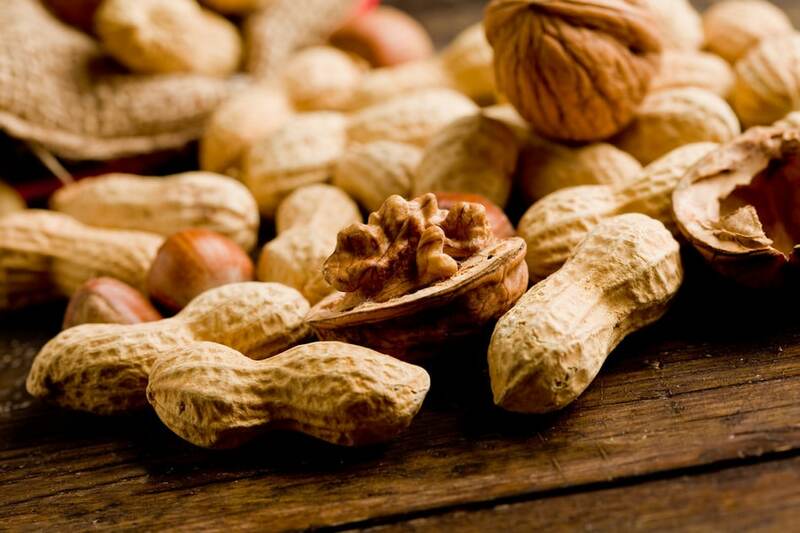 Though increasingly common, nut allergies are among the most severe forms of food allergies. Whether you or a family member is allergic to nuts, the fear of accidentally ingesting a trigger food can be paralyzing. Anaphylaxis ranges from mildly irritating to outright fatal. It is critical that you become well versed in reading and comprehending food labels in order to avoid potential triggers, especially those that may be less obvious. Nut allergies may include tree nuts, such as almonds, Brazil nuts, cashews, hazelnuts, pistachios, and walnuts. Peanuts are actually legumes. Those allergic to a particular tree nut would do well to avoid them all just to be on the safe side. Symptoms may include abdominal pain or cramping, difficulty swallowing, shortness of breath, nausea accompanied by vomiting, a runny nose, or diarrhea. In severe cases, contact with nuts may send the body into anaphylactic shock, which can be life-threatening. It seems like it would be easy to spot nuts. For instance, peanut butter, mixed nuts and nut pieces are obvious sources. But did you know that even artificial nuts might contain pieces of nuts? Those with nut allergies should also avoid peanut protein hydrolysate. Peanuts can inconspicuously hide in any of the following foods. Tree nuts can sneak in via these unsuspecting foods. Some people with nut allergies may be able to tolerate highly processed nut oils since there is actually very little nut protein remaining after the refining process. However, the extreme heat and chemicals involved in refining these oils can cause many other health problems, such as chronic inflammation. Read labels carefully and avoid foods that state that they are processed in a facility that uses nuts. Reading labels is certainly the first step to preventing an allergic reaction. However, there are others steps you can take to proactively take charge of your health. Consider wearing an allergic alert bracelet to inform paramedics in the case of a loss of consciousness. When dining out, discuss menu options with your waiter. Enlist the help of family and friends, making them aware of triggers as well as what steps to take if you have a reaction.